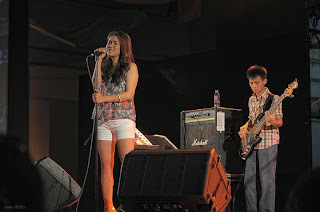 Last week I caught up with Juris Fernandez during her gig at SM-Davao. A frenetic blur of shows and performances which included a successful sojourn in Korea has now become a hallmark of her booming solo career. With the invasion of Korean pop into our shores (Wonder Girls, 2NE1, Super Junior, 4Minute etc) we never got a chance to reciprocate that phenomenon not until Davao’s pride Juris Fernandez who has broken into the highly-competitive South Korean music market with the release of her EP "IF YOU AND ME". She even sports a Korean name "Jyuliseu". Durian Central: ris, how did this Korean project came about? Juris: The partnership with Limelight Productions started late 2009. The person who heard my song, accidentally as he describes it, is Mr. Kang of Limelight. So he had someone call Star Records he said it was approaching the end of November 2009 when they contacted Star. 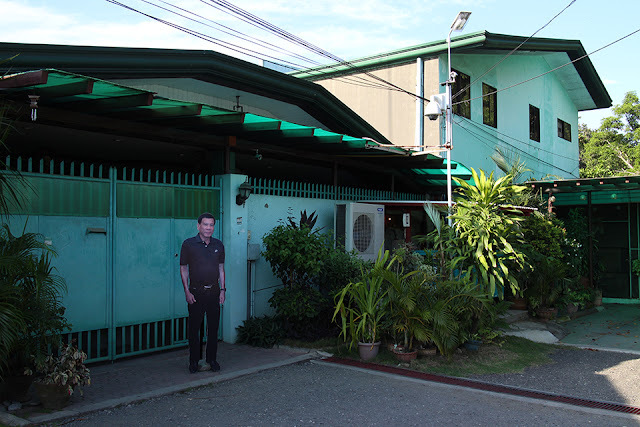 Well, it was through internet where they knew that I'm with Star Records. They offered a project for me to record Korean songs that are popular in their country. In 2010 I recorded five Korean songs most of them translated in English, one pop song (OFFICIALY MISSING YOU), they also included an original song from my 1st solo album OPPOSITES ATTRACT composed by Jungee Marcelo. There are sites in Korea where people can buy these songs online voice recording were done here in the Philippines. that's the IF YOU AND ME digital album. When I went to Seoul for the Green Plugged, I recorded 3 songs. Durian Central: How was the Korean reception of your album? Juris: I have no idea about the sales of the album but my Korean producer Mr. Kim Young Bho shared that one time he was riding a train, he heard a Korean passenger had a ringtone ata or was listening to my version of a Korean song that we recorded last year. tuwa daw sya, ako pud nalingaw (he said he was happy, I was happy too). Durian Central: Was there a difference of being Juris here and the Juris for South Korea? Durian Central: In your own opinion based in your Korean exposure, why is K-Pop successful?